Real Madrid did their job against Deportivo this Saturday afternoon, but it's Barcelona who finishes ahead and wins the Spanish League, after also having beating their opponents, Granada. 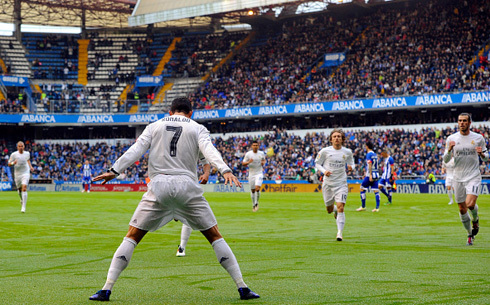 The Merengues defeated Deportivo 0-2, thanks to a brace from Cristiano Ronaldo. It was a good run from Real Madrid over the last few weeks, but at the end, they still finished behind Barcelona in La Liga. Zinedine Zidane's men visited Coruña this Saturday to face Deportivo and did what they could by beating the hosts with two goals from Cristiano Ronaldo. The problem was that Barça also won their match against Granada 0-3 and by doing so, they preserved their 1-point lead in this season's last round of La Liga to become, yet again, Spanish champions. Ronaldo was substituted at half-time after suffering a knock shortly befpre the break, but according to Zidane's comments made after the game, it was only a precautionary measure and there are no reasons to be worried. A much hyped day has come to an end and alas Madrid's hopes of winning La Liga were predictably dashed, as Barcelona romped to a 3-0 victory away to Granada. 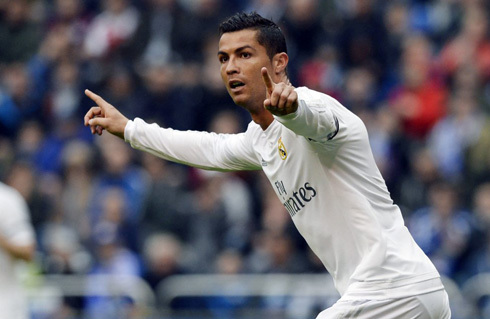 Madrid did their part however, winning 2-0 at the Riazor with Ronaldo netting a pair in the first half. In the end, while on the surface it seems disappointing, Madrid can only be proud of their performance in the second half of the season. Under Zidane, Madrid were the best team in the league and one only wonders what could have happened had the Frenchman been in charge the entire season. The goals today came quick and early as Madrid looked to hold up their end of the bargain, knowing the league was still technically out of their hands. The BBC combined for Ronaldo's first, with Bale beating Manuel Pablo on the wing before squaring to Benzema, who then laid it off to Ronaldo who easily finished. A few minutes later and it as two, this time a deflected header did the trick and Real Madrid were well on their way. Unfortunately, around that time Suarez scored his first in Granada and there was a sense that the result was inevitable. The second half was a far duller affair. At this point, Barça were also two clear and Zidane opted for safety taking off Ronaldo at the half. 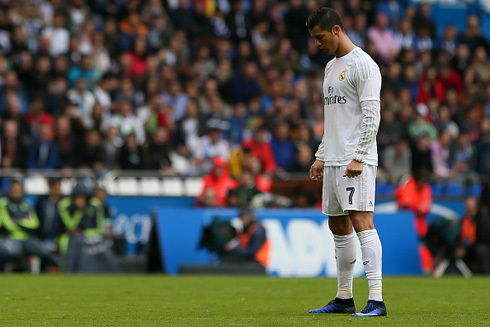 Deportivo came to life a bit, but it was apparent this game and La Liga was essentially over. But there is no need to fret. After being 12 points back a few months ago, losing the league by one on the last day is oddly bittersweet. Sure, games like the opening draw at Gijon, the 0-0 at home to Malaga among others will sting, but this gives the team a lot to build on for the future. Now, onto the biggest prize in Europe. The hunt for the Undecima against Atletico Madrid! Cristiano Ronaldo next game with Real Madrid is for the UEFA Champions League on May 28 of 2016, against Atletico Madrid. You can watch Juventus live stream, Real Madrid vs Atletico Madrid, WBA vs Liverpool, Manchester United vs Bournemouth, Chelsea vs Leicester City, and Swansea vs Manchester City, all matches provided from our soccer live game pages.